Directions - Pawnee A. Davis Law Firm, LLC. Enter the number of the space you are in and pay for the amount of time you expect to be here. You will be able to add more time, you will NOT be able to get a refund for unused time. 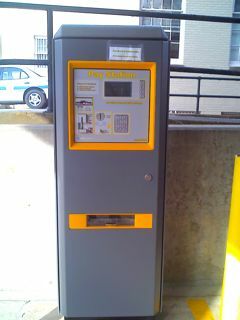 Take the receipt the Pay machine issued and put it on your dashboard, where it is visible through the front window. Payment can be made in cash (in exact amount) or by credit card (VISA, MasterCard, American Express, Discover); however, based on reports from users, the machine appears to be “fussy” about which individual cards it will accept. You may also find street parking in neighborhoods or metered parking a few blocks down towards the Town Center. Our building is pink and the front of the building can be seen on W. Jefferson Street. 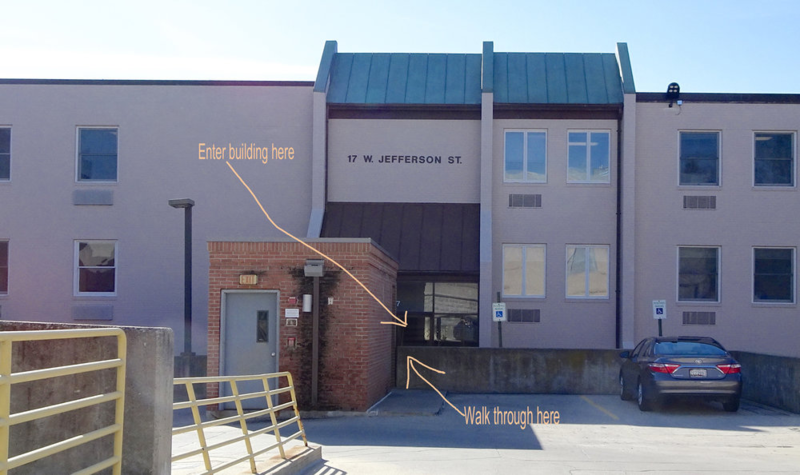 The driveway to get into the parking lot for our building is located on N. Washington Street. Once you are parked, you will be entering the rear of the building. To enter the building from the parking lot, you will see two sets of glass doors. Enter through those doors.